Home / Old Try / In memoriam. 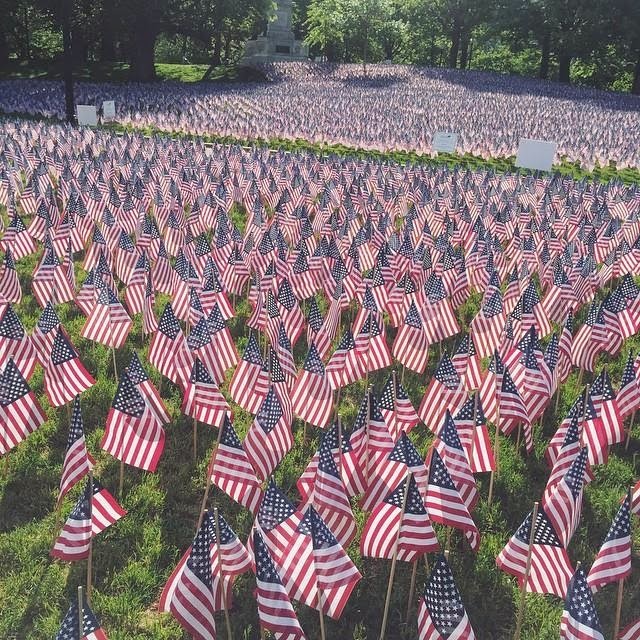 Some gave all: 37,000 flags on the Boston Common: One for every Massachusetts service member who's lost their life since the American Revolution. Powerful stuff to see this Memorial Day.